How often have you driven through a village without pausing to look at what is happening or consider its history? 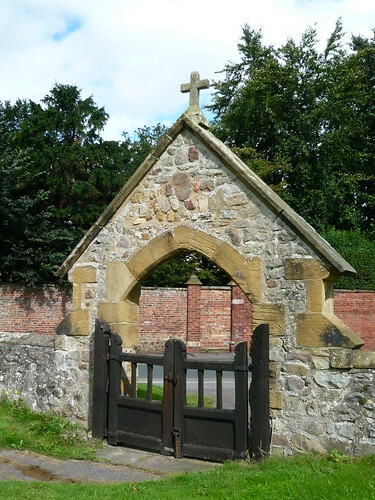 I was tempted to stop at the church in Burneston by the archway over the gate. 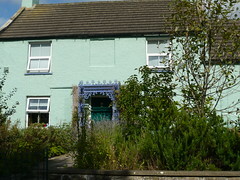 I am glad I did stop and look around this village of about 250 people which serves a wider area in many different ways. The Woodman Inn at Burneston dates back to the late 1600’s and is a traditional country inn with cask beers and excellent food which is locally sourced. Every Wednesday night Burneston Folk Club meet here at 8.30pm. It’s a lively club with a mix of traditional, acoustic and contemporary music. Everyone is welcome, whether it is to play, sing or just listen. they do not book guests, charge an entrance fee or hold a raffle they just enjoy the music. 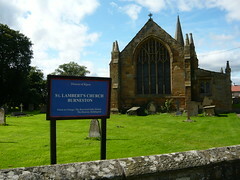 The church of ST. Lambert consists of a chancel with a north vestry and a square west tower. The nave probably contains the stones of the 13th century or earlier but much of the internal masonry is of early 14th-15th century. 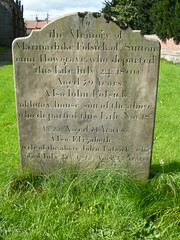 In 1086 Burneston belonged to Count Alan. At the Dissolution in 1591 Queen Elizabeth granted this manor to Sir Richard Theakston. Theakston village is less than one mile away (although the family breweries are in Masham 5 miles or so distant). The last Yorkshireman to win the men’s singles at Wimbledon may have been John Hartley from Burneston, near Bedale in 1879. Did he live here? Not to be confused with Burniston, an unremarkable village just north of Scarborough, where I spent my very early years.